Although the Google’s android event arranged in New York, under the name of The Playground is open, had been canceled because of Hurricane Sandy, but that hasn’t stopped the company from announcing its new products, Google and LG officially announced the Nexus 4 from the official android blog, Nexus 4, which is Google’s new flagship smartphone and the newest iteration in the Nexus family. This time LG takes its turn at a Nexus device, Nexus 4 features an Android 4.2 jelly bean version with a 4.7-inch 1280×768 display, 1.5 GHz Qualcomm Snapdragon S4 processor, an 8MP rear-facing camera and 8 or 16GB of internal storage. 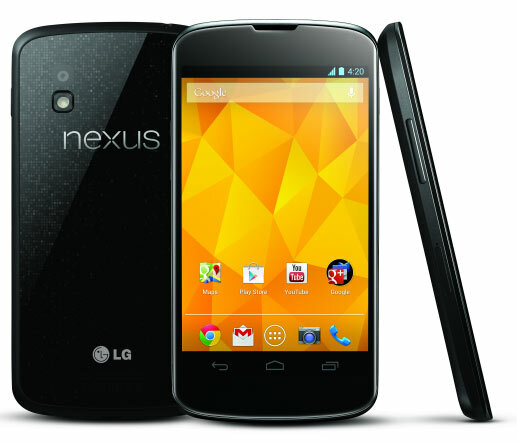 The Nexus 4 will also features a 1.3MP front facing camera. Android Beam, Google Wallet are the other features along with new Photo Sphere camera ( a new feature of the Android 4.2). Nexus 4 will be made available in both 8GB and 16GB versions starting 13th November in the US, UK, France, Spain, Canada, Germany and Australia, with pricing $299 for 8GB model and $349 for 16GB model. The 16GB version will also be available through T-Mobile for $199, with a 2-year contract.